The language of 4D is all about emotions. What kind of charge do you put on your communications? Just like programmers spend hours finding a bug in a program, you can find the “faults” in your own conscious or subconscious actions and then do something about them. Language is a strong and significant key to creating more mastery at every level. Let your language be open-ended, without preference or prejudice, so you can speak the language of fifth dimension with grace and ease. You may not realize how much your language heavily impacts what is happening in your life. Many are blind to this. You can create and inhabit fifth dimension by consciously choosing your words. As you talk to yourself and others, what stories are you telling? What patterns are you reinforcing? You empower the stories you think about and the stories you tell every time you think or tell them. In the same vein, you must validate your emotions--not deny them--by briefly giving them a voice. Allow yourself to voice them three times and then choose new words. 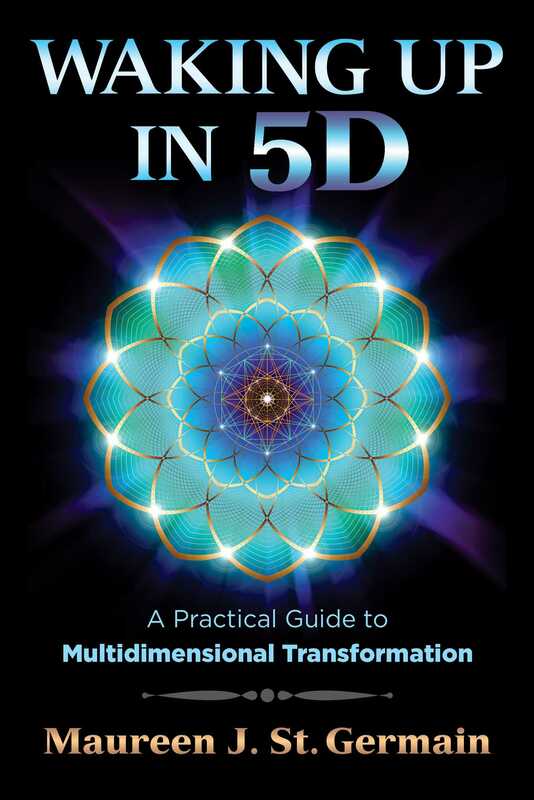 Learn to use the language of fifth dimension consciously. Notice your verb preferences and your verb tenses. I invite you to stop using terms such as weird, hopefully, or funniest thing, which imply unexpected (and not normal) results. Instead move, deliberately and purposefully into ownership of your musings of the recent past such as “Happily, we are moving forward” or “That was so interesting.” Clarifying your situation strengthens your heart’s desire and creates more of what you authentically desire. “I have to . . .” is probably the biggest offender keeping you locked in 3D. You never “have to” anything. You always have a choice. You may not like the consequences; you may have cultural or familial pressure to do certain things; yet there is always choice! Decide to banish that phrase from your speech and thoughts. It will help you sustain fifth dimension. Most of these types of phrases really can condense to being more loving and accepting of yourself and others. One of the ways we acquire the 5D skillset is we seek out and use non-polarity and non-pejorative words to describe new and different choices. No one can insult you without your buy-in. Sometimes it is your beloved, who you love and respect. You want them to be perfect--but they are not. Sometimes it is a relative or acquaintance. Wouldn’t it be lovely if your family were always speaking what they really mean? Acceptance is your ideal response. In families, especially if it is your partner, you should speak up. But in all cases, love them anyway. As you examine table 8.1, locate the words that you use most often and try substituting the suggested replacements or new words of your own. Notice that when you decide to say, “I choose” or “I prefer” instead of “I can’t,” “I won’t,” or “I should,” it invites both you and your listener to acknowledge your true power. Speaking in this fifth dimensional way means that you are consciously choosing thoughts that stay out of judgment and away from polarization. What Really Happens When You “Have To”? When you use these “have to” phrases, you empower anyone who will seize power over you to have it. Deciding you no longer need to say “I have to” frees you from anyone or anything having power over you. You really don’t have to! You don’t have to pick up your daughter up at 4 p.m. You choose to do this and want to leave now. Have to statements empower everyone who is willing to dictate to you to do so. Once you take ownership of your world, you create an irrepressible boundary around you. It means that no one can hurt you unless you let him or her. What about when you do you let someone hurt you? We feel the hurt. We acknowledge the wound. We validate ourselves by noticing our expectation (which creates the hurt) and disappointment (the emotional feeling from failed expectations). We own both. Then we love them anyway. Or we decide it’s over. Either way, you are in charge. You are the decider.